Home to world-renowned surf beaches and located near the entrance of the Great Ocean Road, Torquay is a great place to visit and a beautiful place to live. With schools, restaurants and shopping centres, Torquay is not just a tourist town but a residential area too. 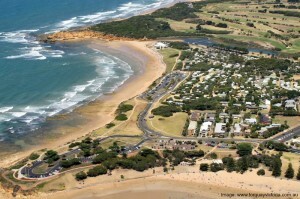 In fact, the population forecast for the Surf Coast Shire in 2014 is 29,247. From our perspective, that makes for a lot of salty sea-air affected windows! As brilliant as the coastal lifestyle is, there is one downside… salt-air corrosion. We provide window repairs in Torquay to help keep your coastal windows in better condition for longer. There’s no doubt windows and other structures don’t remain in as good condition for as long as non-coastal areas due to the effects of salt-air corrosion, but regular maintenance and repairs can help prolong the life of your windows. The closer your residence to the waterfront, the more you will need to maintain your home’s exterior. We repair a variety of windows, including timber and aluminium in a range of styles. We can replace part of your window or if the operation has become stiff due to the salt in the air we can fix this too. If you live near the ocean you want to enjoy the fresh sea air on a pleasant day and jammed windows hardly allow this! For window repairs in Torquay, please contact Geoff Case.